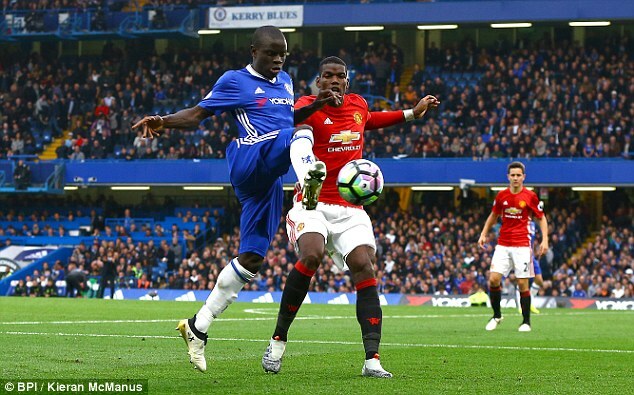 United were beaten 4-0 at Stamford Bridge in a poor team performance but Paul Pogba was again made an individual scapegoat for collective shortcomings. Nothing was made of it when the young Frenchman scored twice in a man of the match performance against Fenerbahce but the critics were out in force again yesterday. Every time we fail to win the queue of naysayers can't wait to get on his back. It seems that if he got a hat-trick in a 4-0 win, there would still be criticism for failing to get an assist. He's being held to a standard and expectation impossibly high that no player in the world, not even Messi, Ronaldo, Suarez and company, could ever live up to. It seems that he has to wipe out ISIS, end poverty, win the US election, negotiate an EU exit and stop immigration before the keyboard warriors will be satisfied. Pogba wasn't even the worst player on the pitch at Chelsea- that dubious honour goes the way of Chris Smalling, I'm afraid, and the focus should have been on the failings of our defence but again the blame - there always has to be someone to blame, it seems, was put squarely on the shoulders of the Frenchman. That being said, the world record fee is hardly Pogba's fault and against Chelsea he was not given an opportunity to influence the match. Deep, isolated, well marshalled by Kante and co and often starved of service from the full-backs and his midfield, Pogba's performance was dragged down by those of his team mates. When the rest of the side don't perform, what is Pogba expected to be able to do? You win as a team and lose as a team. Statistically, he was United's best performer against Chelsea with the most passes, most tackles and most interceptions of any player in Red but this was not mentioned in any coverage of the match analysis. No matter how much he costs, to expect a 23 year old to come to England and dominate in the way that is being expected of him - adding to that the immense pressure he's under to perform - is asking too much. You don't just become a world superstar at the click of a button. I suppose when you cost 89 million it comes with the territory, but John Stones, who made a costly error against Southampton, cost 47 million and has not received anything like as much criticism. It's interesting to note, too, that City's recent indifferent run- including their own 4-0 defeat- has been relatively brushed aside compared to the hysteria that accompanied out first loss in six yesterday. Instead of letting him get on with his game, flourish and play without pressure, Pogba is not being given a chance to succeed with all and sundry queuing up to make him a scapegoat at the first opportunity.